Guinea Pig Advisor > Purchase Guinea Pigs > Should i keep Guinea Pigs as pet? [Auto translated] Who decided to buy Guinea pigs gets a lot of responsibility. Because of its size people often think (shop assistants in pet shops too) it is quite easy to keep cavies like hamster. 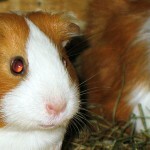 But Guinea Pigs has different and difficult requirements to keep them species-appropriate. So you should ask yourself some questions before you buy them. So: Should I keep cavies as pets? Guinea Pigs are a relative robust rodent species. That is one reason why they are so popular. But there are some requirements you might not really know. This page contains information about the requirements you have to know about before you decide to buy Guinea Pigs. Guinea Pigs are getting old! Guinea Pigs can be expensive! Guinea Pigs need your attention! Guinea Pigs produces huge amount of dirt and might smell a bit! 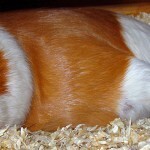 Guinea Pigs needs care and activity! 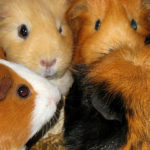 Guinea Pigs are group-living animals and need company! Guinea Pigs are no stuffed animals! Is someone in my household allergic against grass, hay or animal hair? Buying cavies if someone is allergic against them is always a bad idea but anyway one of the most reasons they were given to animal shelter. Is there anyone who cares about my cavies if I am at holiday / away for some time? Before you buy cavies please be clear that they need attention every day. So you need someone how cares about them if you are away for some reason. Does everybody in my household accept keeping Guinea Pigs? Only buy Guinea Pigs if anybody in your household accept that! Prevent conflicts before the come along. Dogs and cats are carnivores and rodents like cavies are typical prey animal. Also dogs and cats might stress cavies continuous if they life in one household. 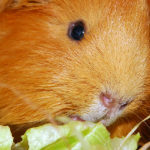 May be you’ll take a look at our pros and cons list about keeping Guinea Pigs.